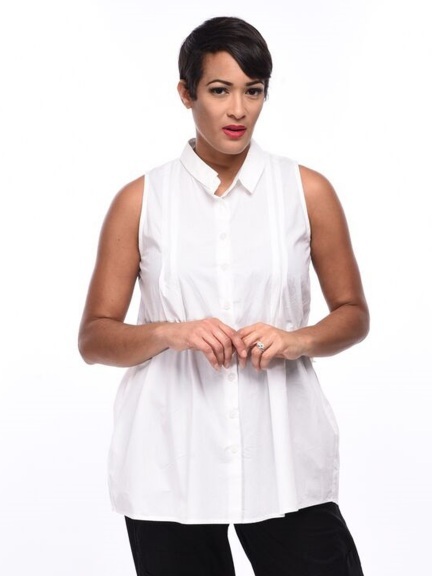 Cool cotton sleeveless tunic features convertible collar and on-seam pockets. Design details include tucks along princess seam-lines, and decorative buttoned patch at sides. The color White is available in any out-of-stock size as a Special Order, estimated to ship on April 29th for orders placed today.